Removing part of the Hui Feng No. 1 shipwreck at Palmyra Atoll. The U.S. 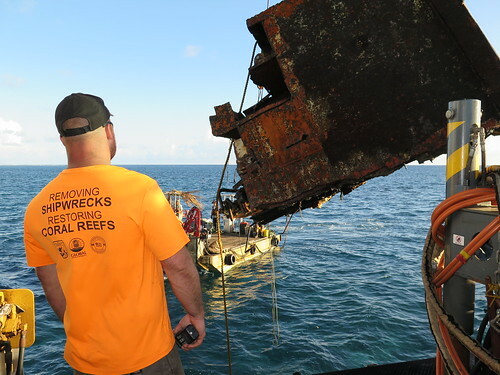 Fish and Wildlife Service has removed nearly one million pounds of iron, teak, and fiberglass from shipwrecks to protect coral reefs. The coral reef restoration was done at Palmyra Atoll and Kingman Reef National Wildlife Refuges, located 1,000 miles south of Oahu. The isolated refuges are part of the Pacific Remote Islands Marine National Monument. The iron in the shipwrecks on these remote atolls was fueling the growth of invasive organisms that smothered a large amount of once-healthy, diverse coral. But because of the wrecks, the diverse coral reefs transforms into a “black reef,” which is dominated by a single, invasive species. 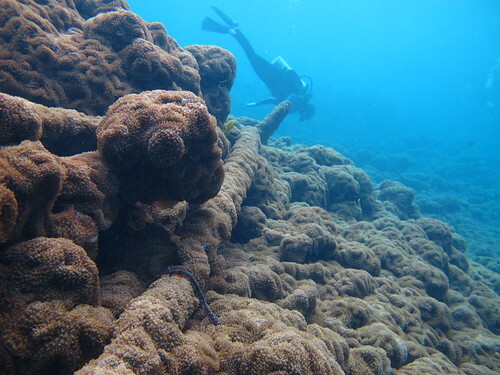 With the shipwrecks gone, the otherwise healthy reefs will have the opportunity to recover from the onslaught of added nutrients and the explosion of invasive organisms. “By removing the wrecks and invasive species, the Service is giving these reefs the best chance to adapt to global climate and oceanographic changes,” said Palmyra Atoll and Kingman Reef Refuge Manager Amanda Pollock. Throughout the restoration project, scientists and refuge managers will continue to monitor the status and health of the reef ecosystems. The 16-person project team that worked on the isolated and remote Palmyra Atoll and Kingman Reef Refuges also safely removed 605 gallons of fuel products that were discovered. All debris from the wrecks will be recycled or properly disposed of in California. 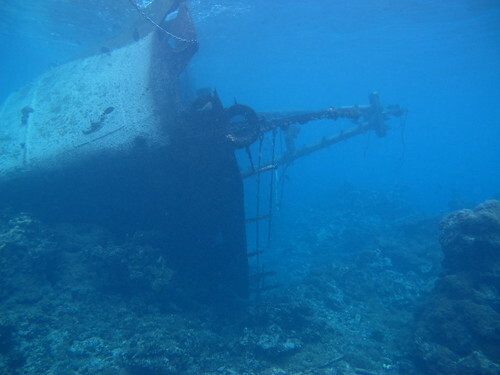 The bow of the teak fishing vessel on Kingman Reef National Wildlife Refuge. Pipes and other wreck debris at Palmyra Atoll National Wildlife Refuge. 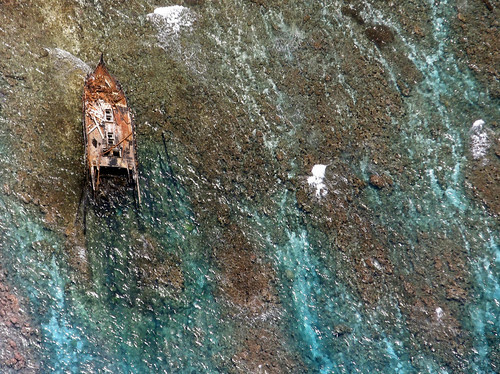 The F/V Hui Feng No.1 grounded on the reef and lying on her side at the Palmyra Atoll National Wildlife Refuge.